(Bloomberg) -- President Donald Trump’s lawyers made a risky decision early on: cooperate with Robert Mueller’s investigation in hopes of gaining leverage later to keep their client from being grilled by the special counsel. The strategy paid off. Mueller closed his investigation by finding no evidence of collusion with Russia. And he did it without ever questioning Trump in person, a red line his lawyers drew for fear that the voluble president could put himself in further legal jeopardy by failing to give accurate answers. 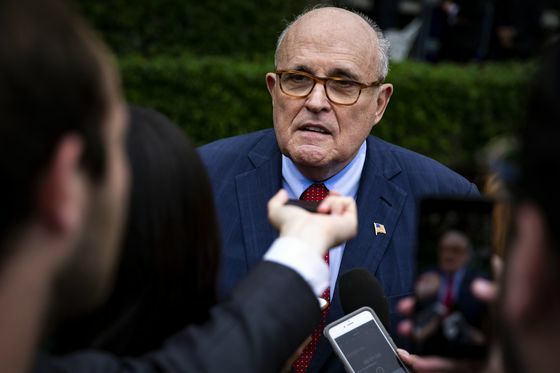 It was a victory for a sometimes fractious legal team that was short on expertise in the specialized business of defending a president and whose designated attack dog, Rudy Giuliani, was prone to sometimes baffling late-night diatribes on cable TV. "It’s better than I expected," Giuliani said soon after Attorney General William Barr’s summary of Mueller’s investigation into Russia interference in the 2016 presidential campaign became public on Sunday. Even when Trump submitted written answers to Mueller’s queries on Russian collusion, his lawyers refused to respond to questions on obstruction of justice. On that issue, Mueller wasn’t able to reach a conclusion, saying that while his report “does not conclude the president committed a crime, it also does not exonerate him,” according to the summary issued Sunday by Barr. But Barr said that he and Deputy Attorney General Rod Rosenstein reached their own conclusion that there was no obstruction. Getting Trump to this point was a 22-month legal struggle for an unconventional team of characters. Trump never had the muscle of a major law firm with an army of paralegals and young lawyers to help review thousands of pages of documents and case law. For much of the time, the president also lacked a lawyer with experience running a large-scale Washington investigation, let alone working in the White House. The White House brought in lawyer Ty Cobb in July 2017, a few months after Mueller was appointed, to manage the administration’s response to Mueller’s inquiries because White House Counsel Don McGahn had to recuse himself. McGahn was a witness in the investigation because he was involved in deliberations about the firings of FBI director James Comey and National Security Adviser Michael Flynn, both episodes that Mueller was examining. 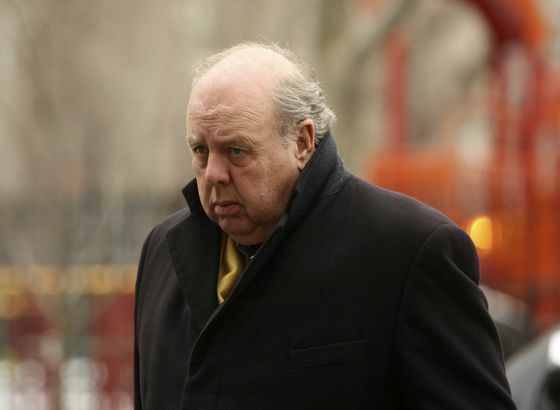 Trump’s personal lawyer, John Dowd, and Cobb -- both former Justice Department prosecutors in the twilight of their careers -- worked mostly alone, personally reviewing tens of thousands of documents that Mueller had requested in the early months of the investigation. Cobb struggled to get staff help from the White House Counsel’s office. Dowd and Cobb decided early on that the best legal strategy would be to cooperate with Mueller and refrain from any personal attacks. They believed that could speed the investigation and provide Trump legal cover later on. But the cooperation strategy served a larger purpose: If Mueller attempted to subpoena Trump for testimony, they’d be able to argue that the prosecutors already had everything they needed from other sources. If Mueller had issued a subpoena and won a court fight over it, Trump would have been prevented from asserting executive privilege, a doctrine used by presidents to keep their White House deliberations private. So the lawyers voluntarily turned over tens of thousands of documents and allowed more than two dozen White House staffers -- from White House Counsel McGahn to initial Chief of Staff Reince Priebus -- to be interviewed without asserting executive privilege. At one point, Trump’s legal team and Mueller’s office were close to agreeing to an interview with the president that would have taken place in January 2018 at Camp David, the presidential retreat in Maryland, a person familiar with the situation said. But the plan was halted over Dowd’s increasing concern that Trump would struggle to answer the questions accurately and Mueller’s questioning wouldn’t be fair, the person said. Eventually, the strategy of Trump-Mueller cooperation broke down. The president, growing frustrated with the slow pace of Mueller’s probe, started issuing a barrage of tweets attacking the special counsel personally as having conflicts of interest. That fueled suspicion Trump was going to fire Mueller in a bid to stop the investigation. In March 2018, soon after Trump began the attacks, Dowd abruptly quit over a disagreement about legal strategy. By that point, Mueller had most of the documents and interviews he was seeking. 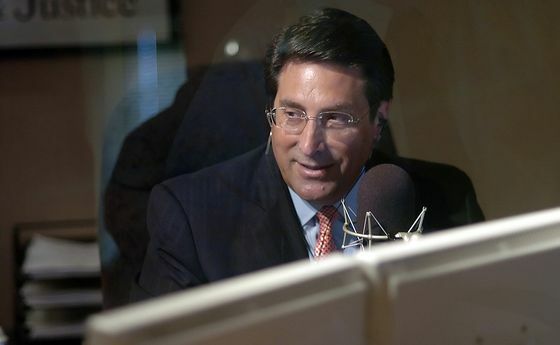 Trump’s remaining lawyer, Jay Sekulow, had spent much of his career arguing for conservatives in religious freedom cases and was never intended to take the lead. For several weeks, Trump was without a lawyer with a security clearance, a requirement to discuss certain issues with Mueller. Sekulow was unable to recruit another lawyer with more experience dealing with such cases. Some lawyers said they were concerned about damage to their reputation from representing Trump. So Sekulow remained Trump’s primary lawyer, setting strategy and managing the day-to-day lawyering. In April 2018, Trump brought on Giuliani, the combative former New York City mayor. The legal effort was bolstered by Jane and Marty Raskin, a husband-and-wife team of defense lawyers with their own small firm in Miami who were little known outside the circle of white-collar defense lawyers. Giuliani took a stronger stance against letting Mueller’s team interview Trump and led a public relations campaign to discredit Mueller’s investigation should it turn up anything damaging on the president. While Trump and Giuliani attacked Mueller publicly, the Raskins were involved in months of back-and-forth negotiations with Mueller’s team over terms for an interview. Eventually, they gambled that Mueller wouldn’t resort to issuing a subpoena for Trump. So the lawyers agreed only to submit Trump’s written answers to questions on Russian election interference. Mueller never pressed the issue further. Had Mueller subpoenaed the president, the lawyers believed the special counsel would have to show in court that he couldn’t get the information sought from the president by other means. They based that on their interpretation of a court ruling in a fight over documents from President Bill Clinton’s agriculture secretary Mike Espy. Because the White House had turned over thousands of pages of White House documents, including notes from top aides and lawyers, and allowed dozens of White House staffers to be interviewed, the lawyers were prepared to argue that Mueller hadn’t met that standard and had all the information he needed. Now, the months of cooperating with Mueller may help protect Trump’s ability to assert executive privilege as Democrats in Congress push for more details from Mueller’s investigation. Had Mueller subpoenaed information that the White House refused to supply and won in the courts, Trump would have lost the privilege to keep the information private later on.